It’s still Friday somewhere in the world and so I am going to sneak in a Friday themed post! I absolutely hate Ferraris on race tracks, but I have to grudgingly admit that they make for some gorgeous road cars. 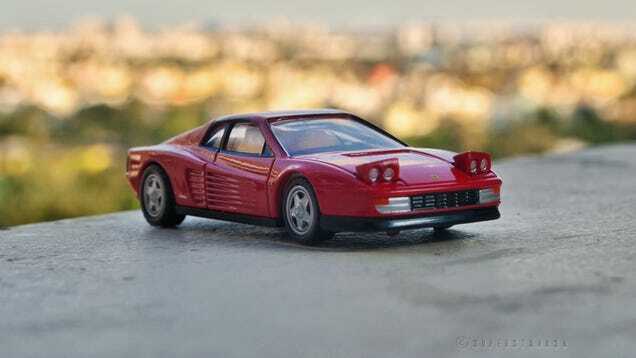 Here is one of my favorite cars to sport the “Prancing Horse” badge - the Testarossa. I will let the photos speak for themselves to tell you how beautiful the Testarossa is, but here is a titbit about the black horse with a yellow background badge that this car sports. Turns out the cars that come out with the Ferrari names arent the first to sport this logo. It was Alfa Romeos, albeir the ones Enzo Ferrari raced in the ‘30s that featured it. But before those Alfa Romeos, the “prancing horse” was first seen on the fuselage of the Italian planes piloted by ace Francesco Barraca during the first Geat War. Credited with 34 kills, Barraca was killed after his plane was shot down by Austro-Hungarian forces in 1918 during a low flying strafing mission. Enzo Ferrari said that he met Barraca’s parents in 1923 who convinced him that putting their son’s emblem on his (Ferrari’s) own cars would bring him good luck..
And 10 years later, the “Prancing Horse” badge - a combination of Barraca’s black horse against a yellow color (referencing Ferrari’s hometown Modena) made its first appearance on the race track on Scuderia Ferrari’s Alfa Romeo race cars.